Mortgage Direct is currently offering deals to non-residents with rates as low as Euribor + 1.9% and fixed rates from 2.05%. Mortgage Direct has been operating in Spain since 2006. During this time they have cemented their place as the leading independent mortgage broker in Spain. They offer a premium broking service to clients of all nationalities and secure the best possible deals. GO Murcia Spain has collaborated with Mortgage Direct for several years now. 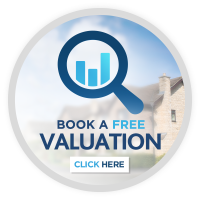 Mortgage Direct are available to discuss your options. ​They are completely independent and have a wealth of experience in a market where contacts are everything and premium service is key. Mortgage Direct is currently offering deals to non-residents with rates as low as Euribor + 1.9% and fixed rates from 2.05%. The Euribor is currently at a historical low. 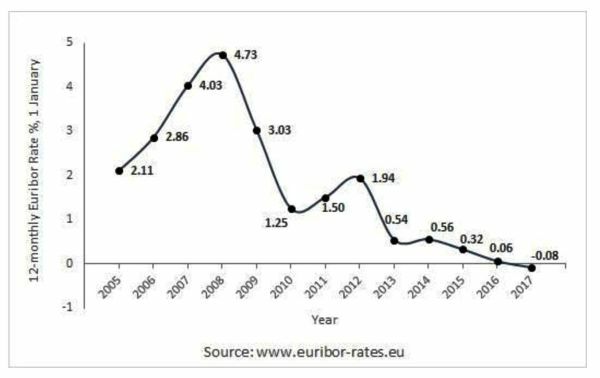 Please see below a graph which shows the fluctuation of the Euribor over the last 12 years. Now that the property market is steadily improving, banks are keen to lend again. This has increased competition and led to some very attractive deals becoming offered to clients of Mortgage Direct. Again, we recommend that you contact Mortgage Direct to find out whether you would qualify for a mortgage, how much you would qualify for and what conditions may be available to you.